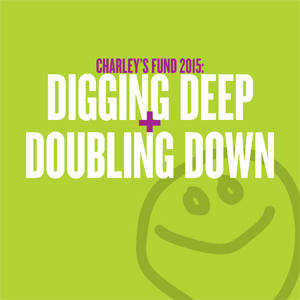 Charley’s sister Maisy has been hearing about Charley’s Fund events her entire life. One day last spring she decided that she wanted to get in on the fundraising action! Maisy built her event around two of her passions: gymnastics and her brother Charley. The result was GymJam 2013, held on April 28 at Mepal gym in New Marlborough, MA. Maisy brought in Cranwell as a corporate sponsor, designed and ordered Charley’s Fund leotards, and solicited picnic lunches from local restaurants. The Gymanstics Unlimited staff donated their time and the space to hold fitness classes for all ages, and Maisy’s performance team put on quite a show. Congrats Maisy on raising almost $3,000!